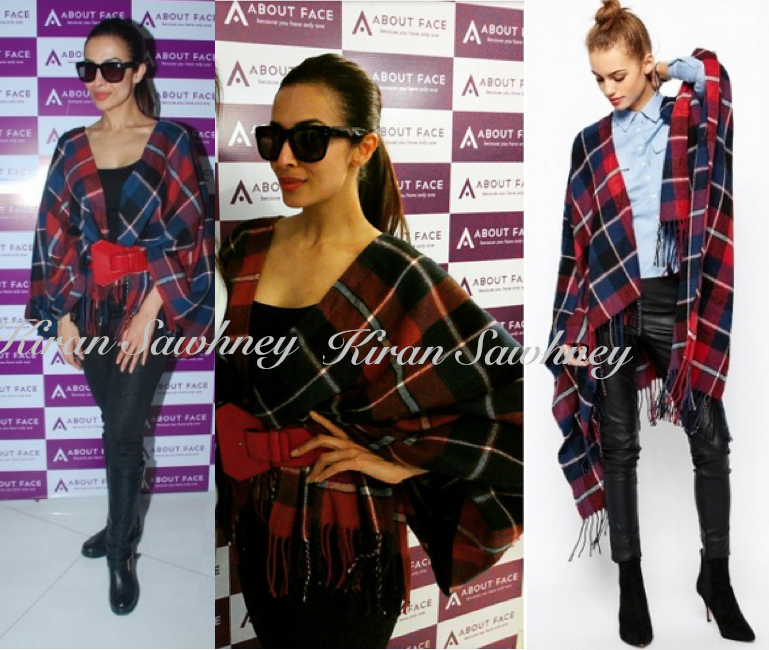 For a salon launch in Mumbai, Malaika wore a scottish check wrap cape scarf with tasseled hem. She added a belt to her cape and teamed it with pants and boots. The cape retails for $39. She looked good.